I thought "Legacies" was pretty good. It was a good introduction to Neroon, who is one of my favorite reoccuring characters. I think the story is a good early piece of the conflict between the Religious and Warrior castes of Minbari. It is interesting to me to note that the mother's side takes precidence in Minbari society. And we also get that great piece of early foreshadowing when Neroon says to Sinclair, "You talk like a Minbari, Commander." We also get the results of an analysis of a Pak' mara's stomach contents! A solid episode -- but it should have come after Babylon Squared, since Delenn uses the triluminary to freeze the guards. (Which, incidentally, tells us interesting things about the triluminary's powers, a side of things I've rarely seen examined.) Slight continuity error. Also, how the heck did Sinclair manage to subdue Neroon in a fair fight? Marcus couldn't handle the guy! Other than that, though, a great introduction to the Minbari warrior caste and all the problems it brings with it -- and in particular Neroon, who pretty much embodies his caste until near the very end. Well, it has been stated that the fellow had been fasting, for something like a long while. 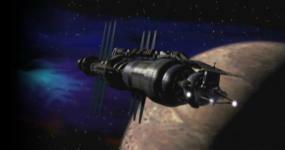 I also have a guess about Minbari night vision being next to nothing. For which the questions like "will you follow me into darkness". If one saw properly, one wouldn't need to ask. IIRC, this is also the episode where the teenage girl is found to be a telepath and everyone fights over her, telling us a lot about how various races and factions deal with teeps and intensifying the conflict between Ivanova and Talia. Pretty clever plot device, but the girl was annoying. Sinclair beat Neroon because it was a grappling street fight, not a skill-match like Marcus with the pike, so the two aren't comparable. The next interaction the two would have take place in a comic I haven't read and a novel I have read (To Dream in the City of Sorrows). In these stories Neroon is framing or persecuting or attacking Sinclair and basically giving him a hard time, so if those are canon, the hint of goodwill and respect between them that we see in this ep doesn't last. I like this ep. Good viewing indeed! It is interesting to me to note that the mother's side takes precidence in Minbari society. Was that ever made clear? My memory is that the line was ambiguous as to whether the precidence referred to was mother-over-father or religous-over-warrior. NEROON: He is warrior caste by right of his father. DELENN: And religious caste by right of his mother; you know which takes precidence. Now, given the structure of that exchange, I don't see the point in bringing up his parents if the argument is over which of the castes someone in Minbari society belongs to over the other. I take the exchange to be that Neroon is trying to say that because Bremmer's father was warrior caste, that Bremmer himself should be treated in death as one of the warrior caste is, but Delenn interjects saying that because Bremmer's mother was religious caste, with one's mother's side taking precidence, that Bremmer's death should be conducted under religious caste guidelines. ...but it should have come after Babylon Squared, since Delenn uses the triluminary to freeze the guards. I remember thinking about this as I watched "Legacies" a few weeks ago and then continued on to finish watching out the rest of season one. I can't remember now, but there was something about "Legacies" that made me think that despite the use of the triluminary to stun the guards, that the story couldn't take place before "Babylon Squared," but for the life of me I can't remember what it was now. It was enough that as I watched I started thinking, well, maybe what they used to sun the guards wasn't actually a triluminary but another device that the Minbari just manufactured to look like a triluminary. I guess it's just a part of discontinuity that just can't be realigned to the rest of the story.